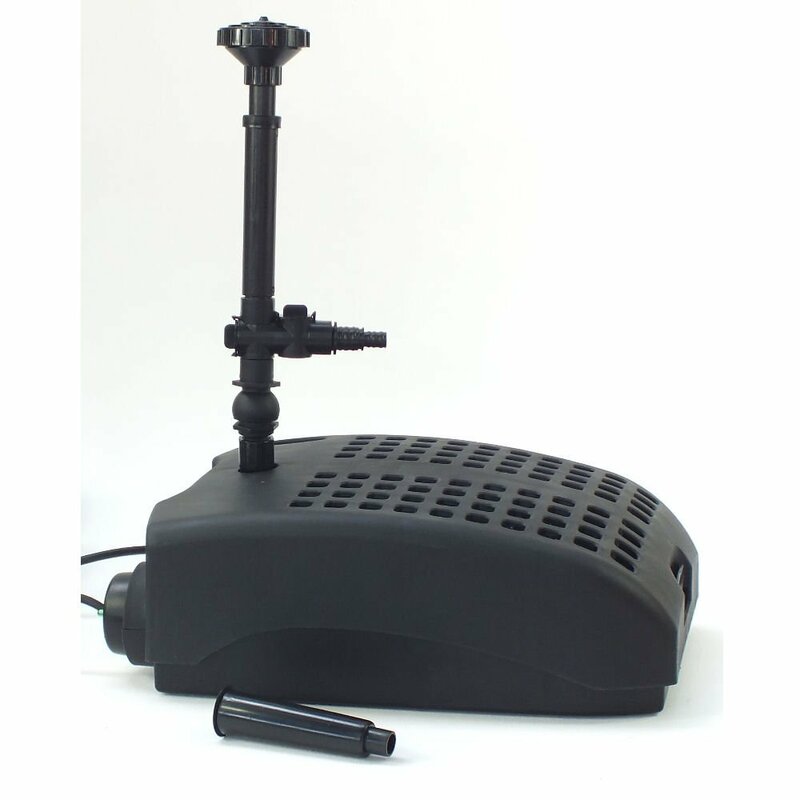 This submersible, elegant looking fish pond filter and pump is the one you need to clean your water gardens. It also uses UV to get rid of algae. It creates a wonderful fountain through its added accessories. You can choose from water bell or a three tier in your fountain kit to complete the aura of your pond. If you are having problems with water discoloration because of algae, its built-in UV clarifier will take care of it. You can just imagine your pond getting cleaned without you having to break your back. It is compact and you do not even need to be an expert to install this filtration system. This great filter set, however, comes with a costly tag compared to others. Unfortunately, you have to be careful when handling this as it is fragile. 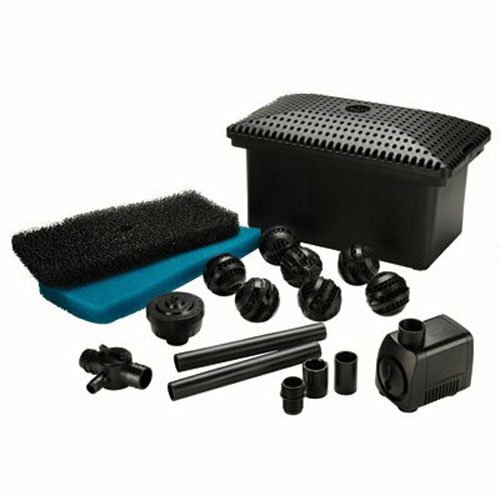 This easy to assemble Pond Boss may be your next best cleaning companion. It can clean small ponds up to 500 gals within hours. You can get this product at a very reasonable price. You can use this whether you have a waterfall, fountain or ponds. They have low-water shut-off pumps. This product uses UV filtration and non-toxic water treatments. 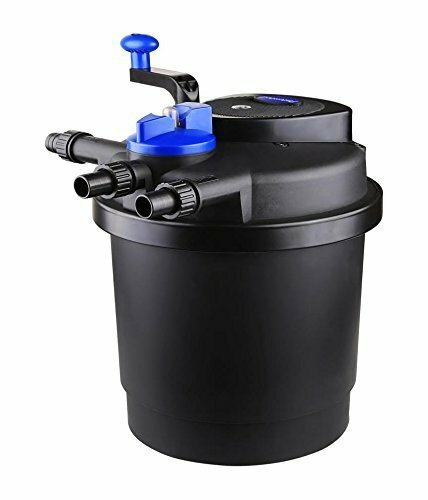 This pond filter system provides a complete set of fountain pump, filter pads, BioBalls (which enhances the growth of good bacteria in the water), patented sloped lid (which helps avoid debris accumulation), and filter pads. What I also love with this is that even if it is a really powerful system we do not have to shell out a hefty amount of hard earned money. You do not need to be confused in choosing between a mechanical filter and a biological filter anymore because there is a pressure filter system which has both of them. This machine protects marine life by removing ammonia and nitrate contents of the water. This is done by boosting the growth of good bacteria. This pond filter system adapts with water flows that are high. It caters to ponds with or without fishes (900 gallons for fishponds and 1600 gallons if there are no aquatic animals). This product is also user-friendly. You will not have any trouble as you assemble it. Filter system aims to get rid of stuff in the pond that could be harmful such as algae or bacteria. There are different kinds of filtration system: Mechanical or physical, chemical and biological. Mechanical filters try to sift or strain debris. This would include muck, floating algae, and leaves. What I like about mechanical filter system is that it removes possible sources of clogging aside from cleaning your pond. However, this is the type that needs regular cleaning to function well. Ponds without fishes can make use of chemical filter system. They try to get rid of organic and inorganic sources of filth. They act as magnets to attract these pollutants. If you are also trying to fix the discoloration of your pond water, chemical filtration type can solve your problem. This kind will also remove algae and toxins. The last type is the biological filter system. This is the key to achieving clean sterile water when you have fishes in your pond. The aim of this kind of filter system is to reduce ammonia levels that could kill marine lives. It converts ammonia to nitrates. There are certain kinds of bacteria that feed on algae and they are not good for your fishes. There will also be bacteria that will feed on nitrates but it will not kill plants and fishes. Here are some important questions to ask yourself when buying. Will you get combination filters or a submersible filter? Where would you like to install them – directly in the pond or outside the pond? How many gallons are you supposed to clean? Would you want a mechanical one? A biological one? Or a combination of both? What is the size of your pond? What is the maximum pressure needed? What is the pump volume you must have? How long should the pipes be? How do you plan to circulate the water? The best koi pond system I would recommend is Pond Boss FM002P Filter Kit with Pump. The superb features of the filter and the very affordable price are the major reasons why it got the title. You can imagine paying more when you will buy the components separately. Even though it is less expensive than the others, the filtration system is as efficient as the others. The features such as the BioBalls and patented sloped lid are also a plus. It is, however, good for small ponds only (500 gallons maximum).